Android Go, also known as Android Oreo (Go edition), is a stripped-down version of Android designed to run on entry-level smartphones. It’s comprised of three optimized areas — the operating system, Google Play Store, and Google apps — which have been reimagined to provide a better experience on lesser hardware. The operating system is based on Android Oreo, but it’s optimized to run on smartphones with 512 MB to 1 GB of RAM. It takes up roughly half the space of Android Nougat, giving smartphones with low storage the breathing room to hold more media and apps out of the box — most Android Go smartphones come with 8 or 16 GB of storage. Devices running Android Go are said to open apps 15 percent faster than previous Android software, although this is also the case with the regular version of Oreo. Additionally, Google has enabled the “data saver” feature for Android Go users by default to help them consume less mobile data. Keep in mind that these apps may be slimmer and faster, but they might be missing a feature or two. For example, you can’t set reminders or control smart home devices with Assistant Go, but you can do most other standard things like set alarms, open apps, and ask various questions. It’s worth noting that we can expect to see many other Android Go optimized apps in the near future. Developers can already start producing apps for the OS with the help of Google’s Building for Billions development guidelines. Building a new OS and pre-installed apps package is a great start for Android Go, but what about when people begin using the device in the real world? To help users maintain their lightweight system they set out with, Android Go devices have access to an exclusive version of the Play Store. The Android Go Play Store offers all of the same content as the regular Play Store, only the storefront is more suited to low-storage devices. It has a featured apps section that recommends apps specifically for Android Go handsets, pointing users in the direction of apps that will be of most benefit to them. What’s the point of Android Go? Demand for smartphones in emerging markets like India is on the rise. Google expects its next billion users to come from these countries, where the purchasing power is lower than in the West. That’s why the company wants to provide them with a new generation of affordable, sub-$100 smartphones that work faster, provide more storage, and help reduce data consumption. It sounds like a brilliant plan on paper, as it could allow Google to increase the number of users of its apps and services. However, software is only one part of the equation. The company has to get as many hardware partners as possible on board that will flood the market with smartphones, which will not only have to be affordable but also easy on the eyes. Let’s face it, no one wants an ugly smartphone. A few options are already available on the market, which we’ll take a look at next. But before we do, check out our short “Android Go: A promising start” video below to learn even more about Google’s Go initiative. We saw the first batch of Android Go devices back at MWC 2018 in February. Six smartphones were announced at the show including the Alcatel 1X and Nokia 1. Since then, a lot more Android Go devices were announced by companies like Samsung, Motorola, and Xiaomi. We won’t list them all in this post, but we will show you the five best and most interesting ones. The highlight of the Nokia 2.1 is its battery that comes in at 4,000mAh, putting the device right up there with the Galaxy Note 9 and Huawei P20 Pro in this department. The phone sports a simple design expected at this price range and sports a 5.5-inch display. Like most other Android Go phones out there, it comes with just 1GB of RAM and 8GB of storage, which can be expanded for an additional 128GB using a microSD card. The Nokia 2.1 was announced in May and is available in India, Europe, and quite a few other regions. You can get it for around 100 euros, which translates to approximately $115. The Galaxy J4 Core was announced in November 2018 and is Samsung’s second Android Go device. It sports a 6-inch HD+ display and an aspect ratio of 18.5:9, just like the company’s premium handsets. The phone is powered by the Snapdragon 425 chipset, comes with 1GB of RAM, and offers 16GB of expandable storage. 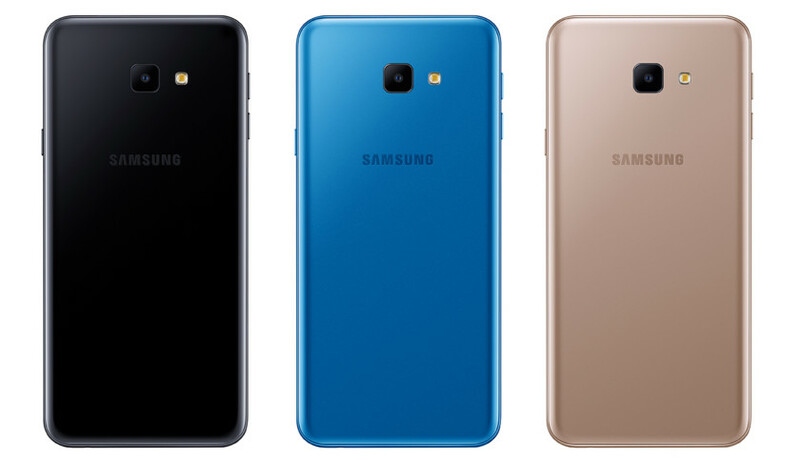 The Galaxy J4 Core is available in three colors — black, blue, and gold — and has a nice design with a curved back and relatively thin bezels. It wasn’t officially released in the U.S., but you can still get the international model on Amazon for around $125. Huawei’s Android Go device has a modern design considering its price point. The bezels are relatively thin, the display sports an 18:9 aspect ratio, and the back looks minimalistic with a nice-looking camera module in the top-left corner. Like the rest of Android Go devices, it won’t blow your socks off in the specs departments, sporting a 5.45-inch display, the MediaTek MT6739 chipset, and 1GB of RAM. The Y5 Lite (2018) was announced in December and is Huawei’s second Android Go device. It’s currently only available in select markets, but you can get the international model on Amazon for only $110. Back in July, Motorola announced the Android Go edition of the Moto E5 Play aimed at Latin American and European markets. The phone has the same specs as the regular Moto E5 Play, with a few differences here and there. In addition to running a stripped down version of Android, it also has a slightly larger display (5.3 vs 5.2 inches), a different aspect ratio (18:9 vs 16:9), and 1GB instead of 2GB of RAM. The rest of the specs are the same, as is the design. The phone is very affordable — like all the other Android Go devices out there — retailing for just 105 euros (~$120). You can get it in black. The recently announced Redmi Go is Xiaomi’s first Android Go device. It’s a great choice for those looking for a compact phone, as it sports a 5-inch display. You’ll find the Snapdragon 425 chipset along with 1GB of RAM under the hood, just like with a lot of other Android Go devices. The handset also features a 3,000mAh battery, 8GB of expandable storage, and an 8MP primary camera. Its biggest advantage over the competition is expected to be the price. Although unconfirmed, rumors have it that it will come in at just 80 euros, which translates to around $90. There’s no word on when it will go on sale. These are some of the best Android Go smartphones we’ve seen so far, although there are a number of others available as well. These include the Huawei Y3 (2018), Samsung Galaxy J2 Core, and Blu Vivo Go. Which ones would you add to the list? Let us know in the comments!